One aspect of the trucking community that will occasionally grab national headlines is the length to which pro drivers will go for their fellow man, giving back to their communities and special causes on a regular basis, and otherwise going out of their way to help others. Throughout the holiday season, this level of commitment to giving back deserves a little extra attention, because while drivers undertake these efforts year-round, this is a particularly special time of year. Drivers in a convoy recently went well above and beyond the normal efforts to help out, raising more than $191,000 for the Special Olympics of Southwest Missouri, according to Tandem Thoughts. In what has become an annual event, the Guilty By Association Truck Show Special Olympics convoy takes place in Joplin, Missouri, and this year drew more than 500 truckers to drive the nearly 12-mile course. "One time I came through town and saw all of this going on," Kevin Vogt, a trucker who, with his wife Lisa, organizes the convoy. "I asked what was happening, and I was told it was for Special Olympics. I said that I wanted to be involved. So many people are so self-absorbed that they don't take time to do things for the less fortunate. I feel like I've been afforded some opportunities that others haven't, so I want to pay it forward. You never know when you might be the person who is down and out." Since 2011, the convoy has raised almost $700,000 for the Special Olympics, and is part of a nationwide network of fundraiser convoys that began in Florida in 2001, the report said. Across the U.S. and Canada, such efforts have raised millions of dollars altogether. On a more individual level, drivers often go above and beyond to help in small ways every day as well, according to CDL Life. For instance, in September, one trucker noticed a bus full of veterans eating at a restaurant and took plenty of initiative. He walked right up to their table and offered to pay for their entire bill. This kind gesture took place in Canada, meaning that many of the veterans the trucker, John Meiring of Ohio, helped out were not even American, the report said. However, Meiring told the surprised vets that he has a son serving in Afghanistan now, so he truly understands and respects the sacrifices they made when they served themselves. More recently, a trucker in Iowa was driving past a home on fire and saw a woman with two children outside, according to Sioux City, Iowa, television station KMEG. The woman flagged him down and explained that two more children were still trapped inside. The driver acted quickly, first trying and failing to get through the smoke inside the house, but he instead went around the outside of the home and smashed a window to get the other kids out quickly and unharmed. The more drivers can do to help others, the better off those people will be. 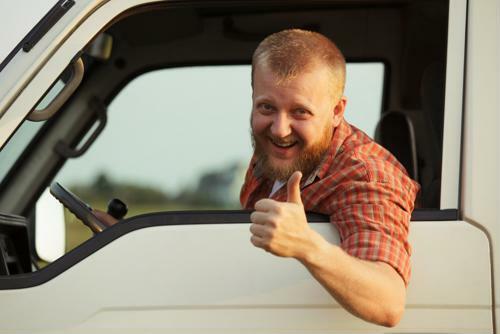 As an added bonus, those truckers will be able to take great pride in a job well done, as well as the fact that they're boosting the public perception of the profession overall.